I am Professor of Philosophy in the Department of Philosophy and a faculty member in the Center for Circadian Biology and the Interdisciplinary Program in Cognitive Science at the University of California, San Diego. As a practice-oriented philosopher of science, my research explores issues in the philosophy of the life sciences, including systems biology, cell and molecular biology, biochemistry, neuroscience, and cognitive science. I have recently developed several new foci to my research, which I describe first before presenting my earlier inquiries. One target of my current research is network system biology. I am particularly interested in two issues. The first examines how biologists represent genes and proteins in networks and apply analytic tools such as cluster analysis to those networks in order to develop mechanistic explanations, in part by revealing new parts and operations in mechanisms already known from cell and molecular biology and in part by revealing new mechanisms. I am especially focusing on control mechanisms, whose importance for biological mechanisms is apparent when considering diseases such as cancer. The second concerns the platforms for creating, analyzing, and indexing networks models, including two that were developed and are undergoing continual revision at UCSD: Cytoscape and NDEx. These and other platforms (e.g., databases for gene and protein interactions in various organisms and ontologies such as Gene Ontology for organizing biological information hierarchically) increasingly play a central role in scientific inquiry and yet the epistemic assumptions and decisions made in their development have not been sufficiently noted or examined by philosophers of science. A second focus in my current research examines ways in which research in various domains of biology is putting pressure on the standard picture of mechanisms and mechanistic explanations that I developed in my earlier work (see below). One point of pressure stems from the discovery that mechanisms are far less modular than they appeared even in the 20th century. Multiple mechanisms often share components and as a result activity in one mechanism can modulate activity in another mechanism. Both in space and time, mechanisms are not nearly as sharply delineated as commonly assumed. Another point of pressure is exhibited in research on molecular motors--myosins, kinesins, and dyneins--whose activities are directly fueled by hydolysis of ATP or GTP. Whereas operations in most biological mechanisms are characterized in terms of chemical changes, in this case the operations involve physical movement, beginning with conformational changes in proteins but ending with movements of material through the cellular environmnent or with muscle contraction. Yet a third focus of my current reseach is on basal cognition--cognitive processes in organisms from bacteria through invertebrates. Modern cognitive science started with sophisticated cognition in humans and associated cognitive processes with the neocortex. Yet biologists investigating prokaryotes, single-cell eukaryotes, plants, and invertebrates are recognizing the complex problem solving in which these organisms engage, which often requires memory to evaluate changes over time. Increasing biologists are recognizing that single-cell organisms often live in colonies and need to coordinate information and preferences through the colony. Many of these capacities are conserved in organisms with brains, including us. Theorists such as Varela and Maturana have identified cognition with life, and understanding how all organisms process information provides a potent heuristic for understanding how our cognitive abilities arose through modulations of groundfloor cognitive processes we share with all living organisms. For approximately a decade after 2006 I adopted research in circadian biology as a model science which I used to develop philosophical analysis. Starting in 1990, circadian researchers have revealed critical components and organization of the intercellular oscillators responsible for circadian behavior in mammals, insects, plants, fungi, and cyanobacteria as well as their entrainment and sychronization. My goal has been to develop an account of the explanatory strategies scientists employ in their research. My earlier work emphasized the strategies employed in developing mechansitic explanations in biology, but increasingly I am expanding my focus to consider dynamical models and network analyses that often abstract from the details of the mechanism and focus on the organization employed. I am also concerned with how biologists investigate the interactions of mechanisms. Circadian research in the 1990s and 2000s largely viewed the core clock mechanism as independent of other mechanisms and investigated it in isolation. More recently, however, numerous intereactions in both directions between the circadian mechanism and those involved in metabolism, the immune system, and mood regulation have been identified. For many purposes, the relevant mechanism is not just the core circadian system, but one that incorporates one or another mechanism traditionally identified with a different phenomenon. A major source for what has been labled the "new mechanistic philosophy of science" was my 1993 book with Robert Richardson, Discovering Complexity (reissued with a new introducton for MIT Press in 2010). We articulated the view that phenomena are often explained by specifying and describing the responsible mechanisms. This is in accord with how many life scientists actually work, but contrasts with the assumption in traditional philosophy of science that explanation involves deduction from laws. On our analysis of mechanistic research, researchers develop mechanistic explanations by decomposing a phenomenon into component operations localized in component parts of the mechanism. More recently I have emphasized that to understand how these component parts and operations generate the phenomenon, researchers must also recompose the mechanism. The orchestrated activity of a mechanism often reflects complex, non-linear organization of its components and the ways in which the mechanism is situated in a larger environment. Adele Abrahamsen and I characterized accounts that integrate mechanistic detail with computational modeling, drawing upon resources of dynamical systems theory to explain the temporal orchestration of operations within a mechanism, as dynamic mechanistic explanations. Mechanistic explanations are reductive insofar as they decompose a system into component parts and operations to explain its behavior. But insofar as the phenomenon of interest arises only when the mechanism is appropriately organized and is operating under appropriate environmental conditions, mechanistic explanation much also take these higher-level factors into account. This has led me to claim that mechanistic explanation requires not only decompositing the mechanism but recomposing it and situating it in its environment. Accordingly, a mechanistic philosophy of science should acknowledge the relative autonomy of inquiries focusing on multiple levels of organization (characterized locally via the decomposition and recomposition of mechanisms). A major concern of my recent work is with the types of organization and dynamics involved in living systems which must maintain themselves in states far from thermodynamic equilibrium. As a result of this requirement, living systems, unlike humanly-engineered mechanisms, are inherently active systems and involve complex non-linear interaction of components. The various mechanisms for maintaining circadian rhythms in different life forms provide rich examples of such mechanisms. Analyzing biological research on circadian rhythms provides a platform not only for investigating dynamic mechanistic explanations, but also issues concerning the decomposition, recomposition, and situating of mechanisms and the generalization of mechanistic accounts achieved as a result of phylogentic conservation. Another major focus of my investigation is on how scientists represent mechanisms. Although one can sometimes describe a mechanism and its operations verbally, scientists often rely on figures and diagrams and their reasoning involves mentally or externally simulating the functioning of the mechanism. With support from the National Science Foundation, I, together with Adele Abrahamsen, Benjamin Sheredos, and Daniel Burnsto,n investigated the nature of such reasoning and how it differs from the sorts of reasoning with linguistic representations for which canons of logic have been articulated. Information about this group, known as the WORking Group On Diagrams in Science (WORGODS) , can be found by following the link. I am also examining problems raised by scientists’ reliance on research instruments and techniques for identifying component parts, their operations, and their organization. New instruments and techniques are prone to produce artifacts, and a challenge for scientists is to distinguish artifacts from genuine findings. Since it is often not well understood how instruments and techniques themselves work at the time they are invoked in science, the criteria scientists employ to evaluate them are necessarily indirect. I have argued that one criterion is whether the results fit plausible mechanistic models of the phenomenon. I try to main a focus on how scientific investigation occurs within the context of institutions and communities. Professional societies and journals do not just happen—they require constructive effort by scientists. They often are the result of deliberation by scientists about the kind of research they endorse and what types of colleagues they want to associate with. These institutions, however, also help define the opportunities for career development by scientists. I have examined how research at the intersection of established disciplines gives rise to new institutions. My approach to all these issues in philosophy of science is naturalistic. I appeal to the actual practice of science, both as observed in its history and in contemporary laboratories, to answer such questions as what counts as a mechanistic explanation, how new techniques are developed to investigate them, and the role institutions play in shaping investigations. Much of my work over the past thee decades focused on the creation of modern cell biology in the mid-twentieth century. New techniques such as cell fractionation and electron microscopy enabled the decomposition of the cytoplasm of cells into component organelles and their operations. The main results of this investigation appeared in Discovering Cell Mechanisms (Cambridge University Press, 2006). I have also been engaged in an examination of the development of cognitive science, neuroscience, and cognitive neuroscience in the 20th century. Cognitive neuroscience emerged in the last 15 years of the 20th century when new imaging techniques (PET, fMRI) as well as new modeling techniques (neural networks) made it possible to develop neurally-grounded mechanistic models of cognition. I discuss the development of mechanistic models of mental processes (including research in neuroscience and psychology from the 19th and 20th centuries but emphasizing recent cognitive neuroscience) in Mental Mechanisms (Routledge, 2008). In addition to my research, I have played an active role in a variety of professional organizations. 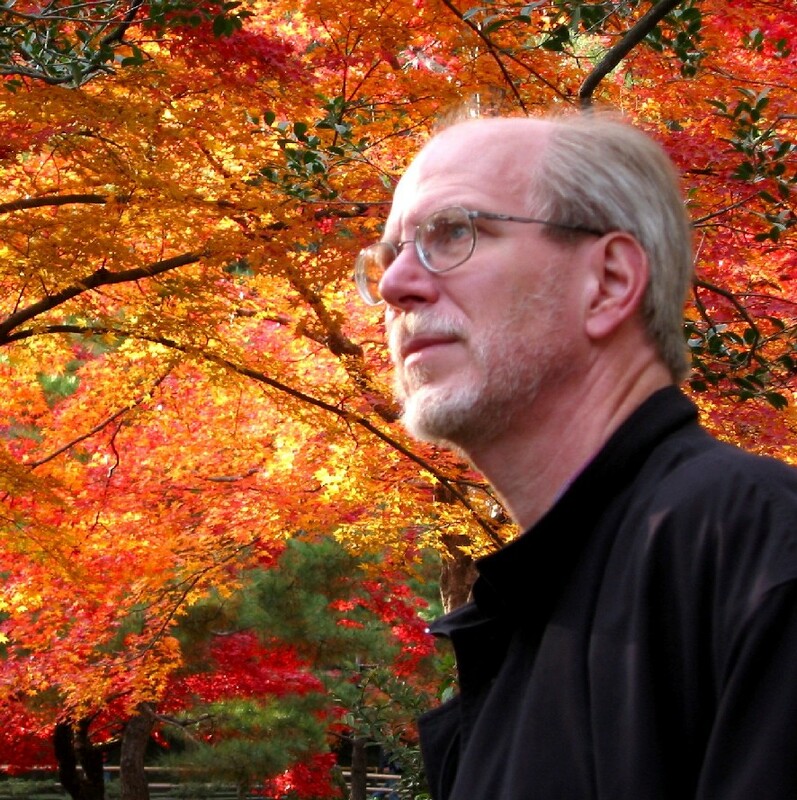 I served for 30 years as Editor of the journal Philosophical Psychology and serve on the Editorial Board of Cognitive Science and Philosophy of Science. 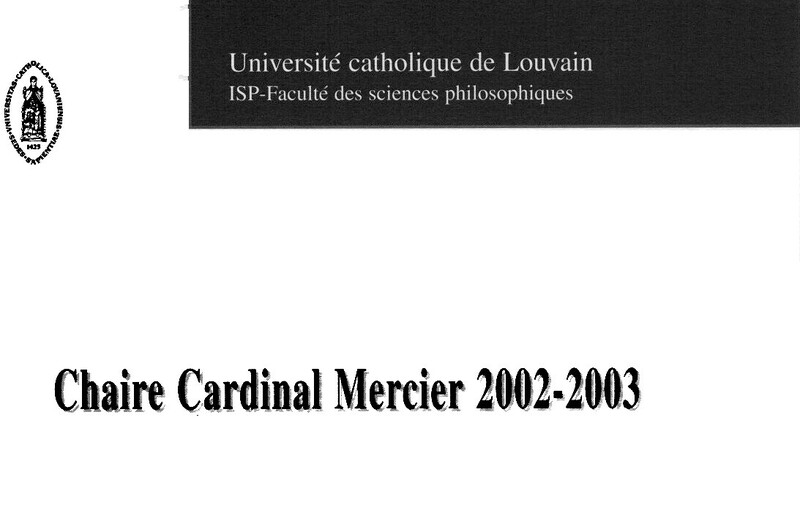 I served as Chair of the Cognitive Science Society (2007-2008) and am past presedent of the Society for Philosophy and Psychology (1995-1996), the Southern Society for Philosophy and Psychology (1996-1997), the Society for Machines and Mentality (1995-1996), and the Central States Philosophical Association (1999-2000). I directed a project initially funded by the Fund for the Improvement of PostSecondary Education (FIPSE) that generated a modular interactive webtexts for teaching. The initial focus of the project was a interdisciplinary research methods course for cognitive science majors, but I extended it into a more general course on scientific reasoing. The course materials for the cognitive science research methods course are available at the Inquiry website at Washington University. Those for the scientific reasoning course are available at the UCSD Inquiry Website. To access more than the sample site, please send me email. Until December 2018 I served as Editor of Philosophical Psychology, an interdisciplinary journal focusing on foundational issues in psychology, especially experimental cognitive psychology. My co-editor for the past several years, Cees van Leeuwen, has assumed the editorship. He is assisted by Associate Editor Mitchell Herschbach, who was previously Editorial Assistant. Daniel Burnston, who also served as Editorial Assistant, is now book review editor. Together with George Graham, I edited A Companion to Cognitive Science, a one volume overview of cognitive science, published in July 1998 by Basil Blackwell. An expanded set of Biographies of Major Contributors to Cognitive Science is available on this site. 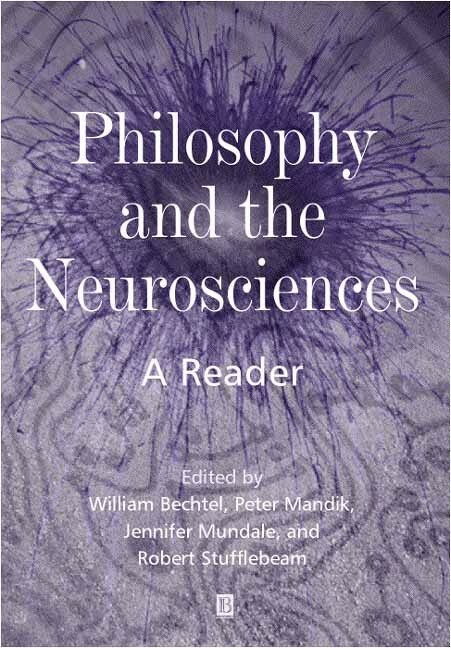 Together with former graduate students Pete Mandik, Jennifer Mundale, and Robert Stufflebeam, I edited Philosophy and the Neurosciences: A Reader, published by Basil Blackwell.